Today, another friend of mine has a new release to showcase. Read on to find out more about author Dellani Oakes and her book "Conduct Unbecoming". Dellani Oakes makes her home in Florida, but she grew up in Western Nebraska. Before that, she lived in Tennessee, Ohio, Massachusetts and Texas. After graduating from high school, she added Mississippi. The diverse locations gave her a unique perspective on life. Always a people watcher, Dellani put that talent to use when she became an author. Bitten by the writing bug early in life, Dellani first pursued poetry as her medium of self-expression. Soon, she moved on the song parodies and then short stories and humorous essays. Once she got to high school, it became apparent that she needed to learn to spell when she got a paper back from her English teacher, “For content: A+. For mechanics: F.” That comment changed her life, forcing her to focus as much on how she said things as well as what she said. Dellani took up writing full time when her youngest son started kindergarten in 2002. Since then, she has published five books. 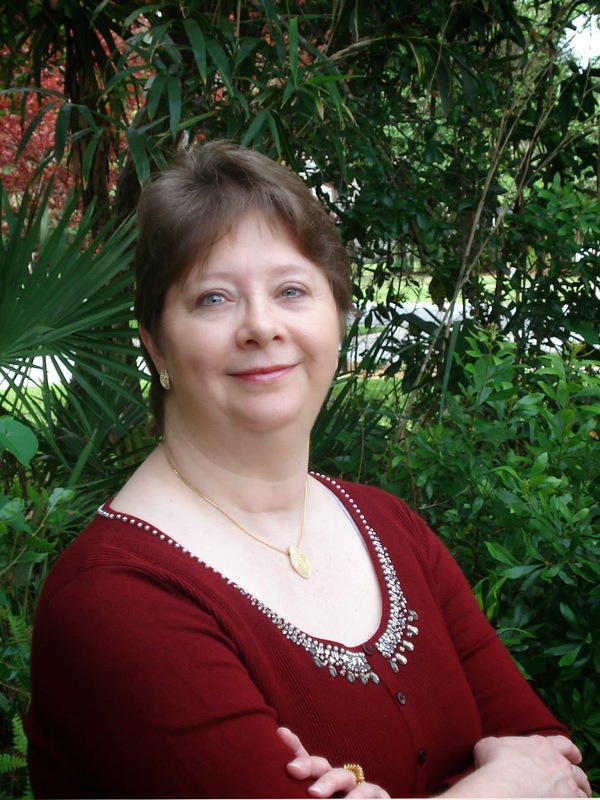 She has two romantic suspense novels are with Tirgearr Publishing and an historical romance and two sci-fi novels with Second Wind Publishing. She has also contributed to several anthologies, MJ Magazine and shares her unpublished works on her blog. Because she loves to talk to other authors, Dellani hosts two talk shows a month on Blog Talk Radio. Listen in every second Monday of the month at 4:00 PM Eastern for Dellani's Tea Time, and every fourth Wednesday, at 4:00 PM Eastern for What's Write for Me. Armed with bravado and wonderfully supportive friends and family, Dellani has embarked on a journey of self-publication. Conduct Unbecoming is her first venture into this new, and somewhat scary, world. Mississippi and now live in Florida. What components, in your opinion, make a great story? A great story needs good conflict, a discernible opposite of the main characters. This can be in the form of an actual person, entity or group. It can also be some hurdle the hero has to overcome. With good conflict comes good characters. They must be up to the task they've been presented with, even if they don't think so themselves. Despite weaknesses, they manage to rise to the challenge and overcome it. Good plot dynamics also add to the story. No good tale can go straight up to the climax and straight down to the denouement. There have to be levels built, like steps, guiding the reader to the conclusion. What was the hardest part of the story to write? It was hard to keep the plot fresh and not do a rehash of The Ninja Tattoo. I didn't want the characters in hiding, as they were before. However, when I thought of a full on confrontation, the characters stopped me. Two of the bad guys were too formidable and unpredictable for a frontal assault. I would have lost all my main characters and had a slaughter of innocents on my hands. Teague was champing at the bit to take the villain head to head and I couldn't let him. Amazingly, Jasper, who is even more impetuous than Teague, talked him out of it. After that, I let them decide and I like where they went with the story. What was the easiest part of the story to write? The love scenes were the easiest part. I love having people fall in love and bringing them together for the first time is always kind of magical. Since I had already written a story with similar aspects, there was very little research involved. I did ask an author friend of mine, Seth Bailey, for advice on a rifle for one of the scenes. Though the weapon isn't specifically named, he gave me some useful information. He also told me a real sniper wouldn't be seen or miss, which was exactly what I was after. What do you feel is your biggest strength as a writer? Dialogue, hands down. I wrote plays in college and that has stayed with me. Info dumps, back story, characterization—all this and more can be portrayed through dialogue. When your first started writing, did anything about the writing process surprise you? I didn't think about how long it would take to get from the beginning to the end. I would get these fabulous ideas and couldn't type fast enough. What I thought would take an hour to write, often took 2 or 3. Do you celebrate when you finish a story, and if so, how? I do celebrate a little. I keep my book files separated by Finished and Unfinished files. When a book is done, I move it from one folder to the other and do a little happy dance. Sometimes, if it's a been a real bear to finish, I'll have a glass of wine. I love finishing a book, but once it's done, the real work—editing—begins. I give myself some down time afterward, before I move on to a new project or begin my first phase of editing. No. My time is too broken up with errands I have to run, needs of my family (buggers have to eat, after all) and all the Mom and Wife stuff I have to do. I try to get in my office by 10:00 most mornings, and put in time on my various projects. Sometimes, it's editing, other times it's setting up my blog posts. Other days, I go on Facebook & promote my books or radio shows. I try to put that off until later in the day, though, because it's easy to get sucked in. I write or edit awhile, break for a late lunch, watch reruns on Netflix and relax, before going back to work. I take another break to fix dinner. Sometimes, I stop and watch a movie with my family, then I'm back at my computer until around 1:00 a.m. I often have to make myself go to bed. I'm not usually sleepy, but I can't allow myself to stay up all night, even though I'd like to. Always! I have to listen to music. It keeps me going and makes me feel energized. It also serves a more mundane purpose, it provides a screen between me and the outside world. Even in my office, the sounds of the rest of the house annoy and interfere. I've learned to filter out and ignore some, but I can't separate myself from it all. Also, I have constant ringing in my left ear. The doctors can't do anything about it, so I play music to tone that down. You’re marooned on a desert island. What’s the one book you’d want with you, and why? Give me unlimited paper & pens, I'll write my own. The voices in my head won't shut up just because I'm not at my computer. What’s next for you? Can we look forward to a new story in the near future? I'm always working on something. I have several books that I've shared on my blog. I plan to get these ready to self-publish. The one I'm currently sharing on my blog, Bad Fall, is actually a companion novel to Conduct Unbecoming. The main character is mentioned in Conduct Unbecoming, and one of the villains is the same. I am also writing a sequel to Bad Fall, and it's an extension of both Conduct Unbecoming and Bad Fall. The title is A Matter of Time. Learn grammar! I realize that makes me sound like an English teacher, which I am, but it's important. I just finished reading a wonderful book that had a great plot and held my interest, but the author kept hopping from present to past tense. There were times that she switched from first person narrative to third person in the same sentence. It was a little frustrating. Also, PLEASE learn the difference between LAY and LIE and use them right! That bugs the crap out of me. I despair of ever winning that battle, because nearly everyone does it wrong. What made you decide to venture into self-publishing? I love my publishers, but they are busy with other authors as well as me. I have books I really want to have published, but can't get out as soon as I'd like to. I've been afraid to do this until many of my friends encouraged me to try it. Thank you Christina Giguere, Karen Vaughan and Ethel Cook-Wilson for convincing me that I could, and should, give it a try. Birds squawked nearby, flapping their wings wildly. Teague looked up to see what caused the commotion. Instead of focusing on the birds, his gaze homed in on a woman. She stood on the boardwalk on the dunes, overlooking the jetty. She was dressed in black pants and tank top. The wind from the ocean blew her long hair around her like an ebony fan. He couldn't see her face, but he knew instinctively who it was. Saying nothing, he took off up the dunes, trying to find the access. There wasn't one near enough, so he climbed the struts and jumped over the railing. The woman was gone, but he saw her retreating, jogging away from the beach. She wasn't running fast and he knew he could catch her. He sensed that she wanted him to. Knowing he would probably regret it, he took off after her. Neil called from the beach, but Teague ignored him, intent on following the woman in black. He heard the thud of footsteps behind him and knew his friends were following. The woman in black disappeared around a curve. Teague sped up, but she was out of sight. She could have jumped over the side of the boardwalk at any time. She might even be under it. Teague stopped to reconnoiter. He didn't see footprints in the sand, which meant she was probably still on the boardwalk. Danielle caught up with him before the men. "What's up?" "I thought I saw Nadeya." Danielle shaded her eyes, frowning. "Dammit!" "Yeah." He took off running again. He didn't expect to find her, but he could hope. "Teague!" Danielle called after him. "Wait." "She can't be far," he said. But he knew she was probably long gone. He jogged the rest of the way to the parking lot, but had no idea what Nadeya might be driving. The few cars in the lot were empty. He walked over and examined each one carefully, peeping inside. A woman came out of the restroom and yelled at him. "Hey! Get away from my car!" she bellowed. She wasn't Nadeya. Her hair was short, blond and frizzy. She weighed over 200 pounds and her skin was pale. If it was a disguise, it was the most authentic fat suit he'd ever seen. "Sorry. I was looking for a friend of mine." "I don't know what she's driving. Did you see a tall woman in black in the restroom?" "If I did, what's it to you?" the woman said, hands on her hips. Her beefy jaw stuck out and she looked like she was spoiling for a fight. "She's a friend of mine. She's in trouble." "Didn't see her. Get away from my car." Teague held his hands away from his body and moved laterally away from her. "Sorry for the misunderstanding." He walked toward the restroom. "That's the women's bathroom!" the blonde woman yelled after him. The last he saw of the fat woman, she was on the phone, presumably calling the authorities. Teague knew most of the park rangers and was related to some of them. He wasn't worried. "Nadeya?" he called softly as he approached the bathroom building. "It's Teague." There was a rustling in the bushes behind him, but it turned out to be a raccoon. Frustrated, Teague surveyed the area before going into the bathroom. She wasn't there. He hadn't really expected her to be. There was no sign of her anywhere. Suddenly thirsty, Teague headed to the vending machines for a drink. There was a supply shed attached where the rangers kept tools and spare drinks for the machines. It was always locked with a padlock. Today, the lock was missing and the wood looked freshly scored. Wishing he had backup, Teague moved quietly to the shed door, his borrowed weapon in hand. He slid his sunglasses up to the top of his head as he reached for the door. The shed was dim inside, very little light coming through the lattice work on the side. His eyes adjusted quickly to the darkness and he checked the shed carefully. "Nadeya?" He spoke softly, moving into the shed another step. Warily, he pushed the door all the way back, propping it with a case of Coke. The space was about fifteen feet deep and eight feet wide. Soda cartons were stacked on the left side and a tool bench stretched across one end. Yard equipment and a golf cart took up the rest of the space. There was really no hiding place in here, unless she could squeeze herself into the tiny space under the tool bench. Teague checked. Nothing. Follow Dellani on These Social Media Sites! My pleasure. It sounds interesting.